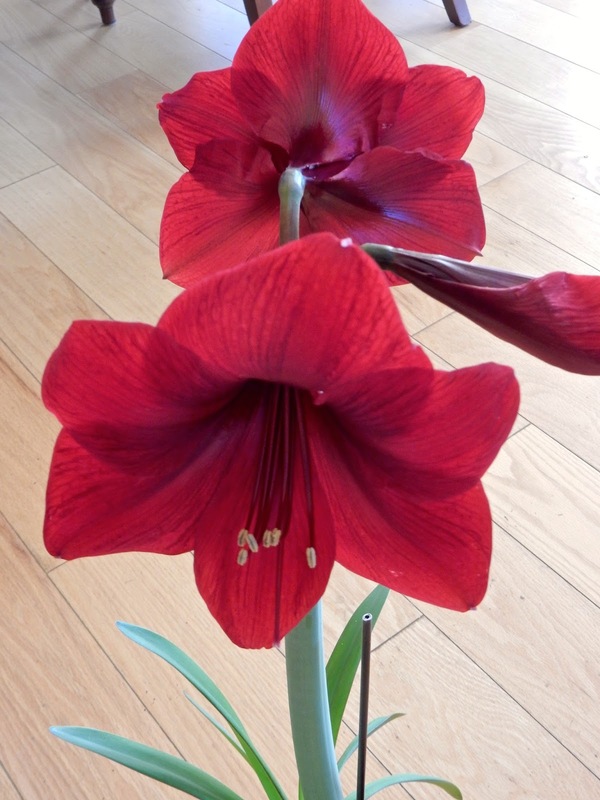 This lovely specimen is an Amaryllis and is generally known as a Christmas bloomer. At least that is normal but this gift to Lana from daughter Katherine has chosen summer to bloom. And to keep it interesting, a companion is also preparing to bloom. And all of this makes perfect sense as we have begun our tradition of "re-visiting" the past season's Christmas cards. A few years ago Lana suggested we spend a few minutes each evening after dinner looking at last season's cards, enjoying them again and remembering those who sent them. Though many have abandoned the "old" custom of sending cards, I remain hooked on the sentiment, beauty and civilized act. In the rush of the season the cards are often read hurriedly. Bringing them back for act II is fun, refreshing and stirs a wee bit of that spirit-lifting Christmas cheer. Now with the Amaryllis in bloom let me wish you A Merry Christmas. So, lets drill down and unpack this journalistic narrative sans the big data and pivot to media jackals who must have decided not to go there, there being a moment to listen to themselves. Hashtag, #! How many times have you heard some talking head talk about the "pivot" to--who knows what all or whatever? In most recent usage it has been the pivot to the general election. But maybe they really want to pivot to # hashtag! It's one of those buzz words that are cliche' almost the moment they are uttered. Whatever! In the recent past there was the "let's drill down" a newer version of "let's unpack this" whatever. Oh you say you "don't want to go there?" Sorry. That's our "Narrative." You know, narrative can also be historical. What was the silliest thing I heard? "Barrack Obama's historical narrative was more important than Hillary Clinton's narrative and that's why he won 8 years ago." You'd think narrative was maybe something they wore, or a body part, as important as it was. Could it have been a #narrative? But we won't go there, since most people have decided they have already been there or figured being there wasn't so bad. So, maybe it is safe to go there. Whatever! And maybe going there is what gave everyone this uncontrolled desire to say hashtag. I must be utterly un-hip. When someone sneezes I want to say Hashtag! So, so now when someone comments or begins to answer a question they frequently begin with So,. That is so, with a pause. Is that a thinking moment, a deep breath moment or whatever? I think maybe their brain is just about to do a #pivot. Not sure what the big data would say about any of this. Can we pivot to the #English teachers, #writing teachers, #journalism professors, #editors and ask WTF? When did whatever pivot from being the tool of hormonal teens to a frequently used word of illumination and enlightenment from #television experts? Must have been a stealth pivot about the time Facebook became a journalistic institution. I have never understood Twitter or what those hashtags mean even though I have a quite quiet Twitter account. And I've been grousing about the meaningless use of the word "So" to start an answer to a question for so long I've probably now gotten used to it. NO I HAVEN'T! In all seriousness (WTF) Twitter is a bit like the old wire service machines. They can be a stream of real information, depending on where they are "pointed." About so, good for you. So, I guess that means we are getting to be #oldboys. I still don't understand the hash tag thing. So much about the media and social media are perplexing to me. There is so much we can do with our phones and screens, but I keep wondering how much of what we can and in fact do is worthwhile? So….I was wondering about the use of the word “so” too. Also, “price point”. What is a price point other than a price? Of course, “like” is another one…you either do or don’t do something- you don’t “like” do it, unless you like to do it, but that isn’t the same thing as “I was ‘like’ really angry…J I suppose I could go on and on …. Okay, so, I think I have the real meaning of so. It's sort of like that tiny screech the car makes when one pulls out from a stop sign (if one actually stops, which probably happens---i.e., stopping--- less often than people start with "So." Younger folks talk so fast, they need their screech (i.e., "So) to catch up with themselves. Also older folks who are reluctant to leave their youth behind. So there. And then there is the almost ubiquitous "like" that seems to creep into the vocabulary of some, though it appears to be "age related." I think I will go back to Christmas cards (or letters) this year as I am not sure I am ready for a hashtag world. From now on let my hast be of corn beef! It seems writing the Christmas cards is a bit cathartic. Taking the time to think of each recipient is a wonderful moment especially given the buzz of the holiday season. And you've just triggered an appetite memory!